No tools are needed to assemble this shelf unit. Average assembly time for this 5 shelf unit is 10 minutes. 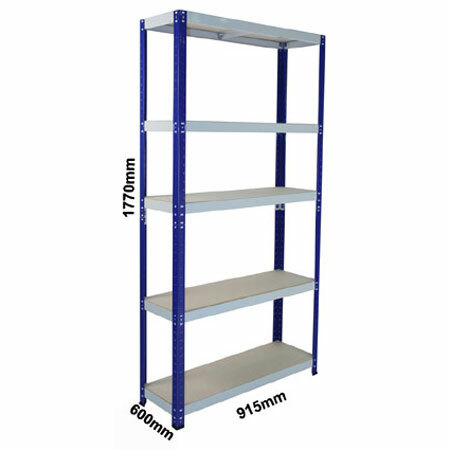 The storage shelving comes wirh MDF decking which offers a smooth and hard wearing finish, strong upright and beam profiles, all with a high quality paint finish. Ideal for home, garage, office or storeroom.